Worrying about things beyond your control. MVPs have to learn how to focus on what they can control and what they can influence. Not taking the time to take care of yourself and focus on improving yourself. Constant self-improvement is one of the key characteristics of an MVP. If you develop Market Gravity then people will come to you. I talk about this in my book, How to Be an MVP in Life. Most MVPs have developed market gravity as a result of helping others: answering questions in online forums, blogging, speaking, writing, etc. Success often breeds complacency. While many seek to learn from failures, we should also learn from our successes. MVPs are always trying to improve themselves. A few times in his book he even points out how stupid he was just 10 minutes prior. In other words he doesn’t let his success blind him to a better way of doing something. Breakthrough relationships where you provide additional value and start to anticipate the clients’ needs, allows you to broaden what you do for a client. 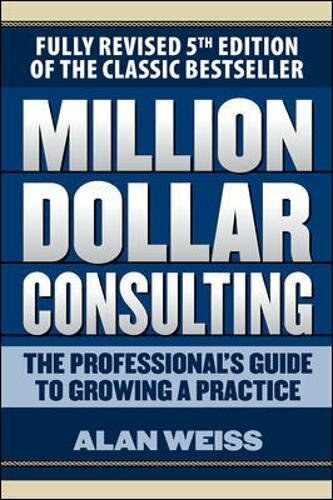 Alan also includes lots of practical detailed guidance on how to be a consultant. I don’t subscribe to every things he professes, but it has been helpful to me. Simon Sinek has gained, quite a following. Reading his book, Start With Why, or listening to him speak will reveal why people listen. His message resonates and inspires us to move to action. Simon walks through great examples about various companies, such as Apple, illustrating how their effort to begin with WHY leads to sustained success, as long as they always Start with Why. I wonder what his inner most thoughts are on how Microsoft has caught up to Apple in market capitalization. 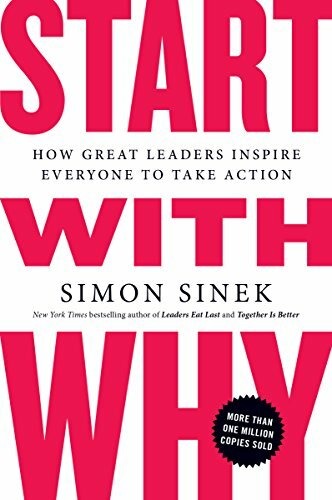 To me “Start with Why” really helps me when making strategic decisions, and even operational ones, as it helps me to act in alignment with my purpose as a father, as a businessman, and as an MVP in Life. Clayton Christensen has written so many business books that have taught so many. 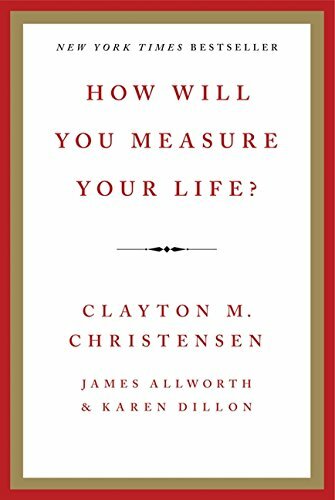 In this book, Clayton and his coauthors, look at why so many people who were on life tracks that should have led to happiness ended up very unhappy, and/or unsuccessful and/or imprisoned. We have all heard that expression: “You get what you measure.” The guidance from this book will help you ensure that you are measuring the right things for you. Clayton and his coauthors all come from very diverse backgrounds and viewpoints, so you can rest assured this isn’t merely a soapbox full of preaching and morality. 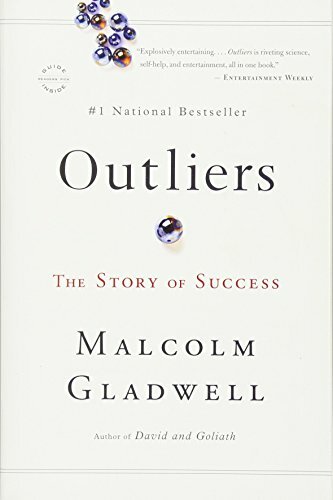 Time and time again Malcom Gladwell is able to look at the world in a different way and reveal truths that the rest of us have missed. Malcolm writes incredible prose that keeps my interest all the way through. I love his initial story about why more good hockey players are born in January, and how he is able to relate that to success in life, showing that it is equal parts: talent, preparation and opportunity (or luck). I don’t know that I completely subscribe to his version of David and Goliath, although it certainly sounds possible. Without, an autopsy of Goliath we can’t confirm what ailments he had. I did feel frustrated at some points during the read because his message reinforced just how much being born at the right time and place has to do with success in so many things. However, most of his message seems to focus on the hyper successful. While many aspire to that, by definition most of us will fall short. We can than take comfort in knowing that we could have equal talent and preparation to Bill Gates or Steve Jobs, but being born at the wrong time aka not having the right opportunities means we won’t see their same level of success. In How to Be an MVP in Life, I try to describe the characteristics that we can all emulate to improve our lives and those around us. But I am not trying to teach people who to be the next Bill Gates. I don’t think even Bill Gates could teach someone how to do that. How to Fail at Almost Everything and Still Win Big. I love the Dilbert comics, not for their artistic quality (sorry Scott) but for the humorous truths that they reveal. Scott Adams is another person who lives in the same world, worked in the same cubicles and yet saw the world in a different way. Scott is one of the first to caution you about listening to successful people’s advice — including himself. I love the humility that he shows. I love how he describes his efforts to create systems, instead of goals. I think he overemphasizes this a touch, but it is with a point, that successfully meeting a goal can be a trap. We often get complacent when we succeed. 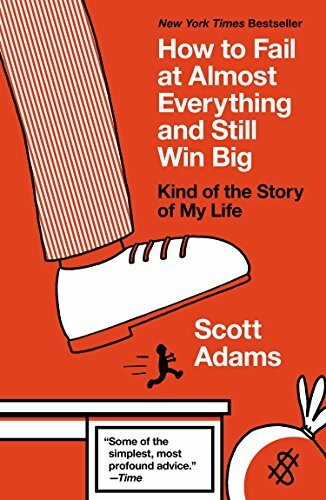 I also love how Scott describes his own failures in life and draws lessons for all of us from that. Most of all I think we tend to like Scott for how entertaining he is. 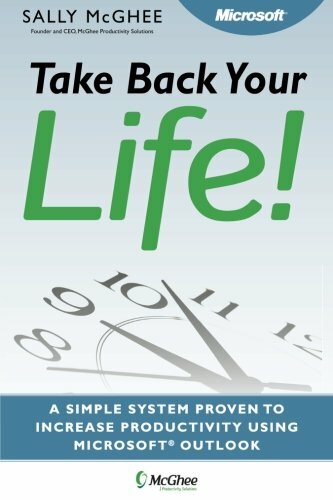 I was so excited to see that Sally has updated Take Back Your Life with Outlook 2007, with a new edition that came out in 2017. Her original book is the subject of one of my stories in How to Be an MVP in Life. This book did help me take back my life when many people wanted to control my calendar and thus my life. As with all things take what works for you and adapt or toss the rest. 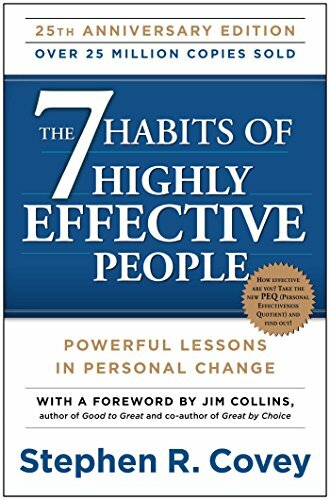 I highly recommend this book as a way to help you get into Stephen Covey’s second quadrant — taking care of the important but not urgent tasks that really matter. With the skills I learned from this book I was able to affect a reconciliation between my father and another close relative. Unfortunately, reading and learning from this book doesn’t make one impervious to foot in mouth disease or getting into tough spots, but it does give us the tools to get out of the tough spots and to remove the foot from the mouth. 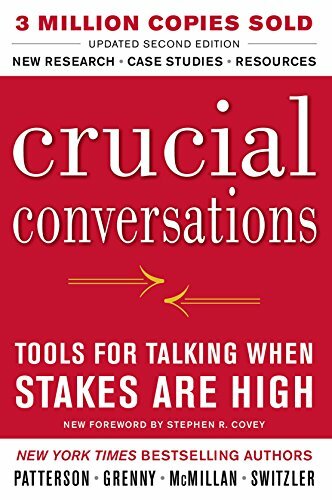 I also enjoyed the perspective from Fierce Conversations, a competing book, but I do prefer the specificity of the skills taught in Crucial Conversations over the aggressive language taught in Fierce. I did learn a lot from reading both books and attending training courses on both. 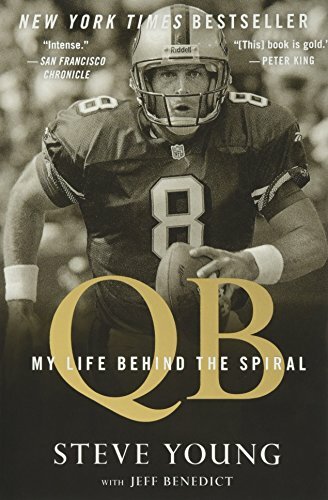 Steve Young’s autobiography is coauthored by Jeff Benedict, who also wrote The System, a great book on college football, that really opens the eyes. Steve Young is one of my personal heroes. I have rooted for him since his days at BYU, and through his days as a San Francisco 49er. My hat is off to Steve for so boldly talking about his struggles with anxiety. It is inspiring to reflect on his accomplishments, and doubly so in light of his struggles. 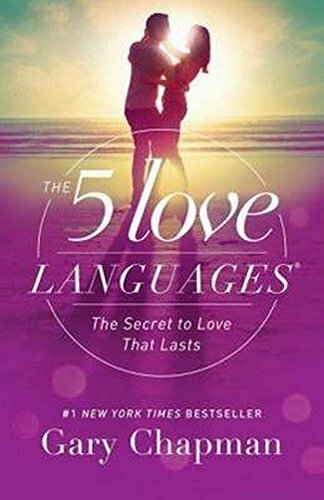 The Five Love Languages was for me a huge whack on the back of the head as I realized, of course, many others feel and express love in different ways. It isn’t automatic to express love in ways that aren’t your primary or secondary love languages. But is sure is important to express love in those ways to those that need them. 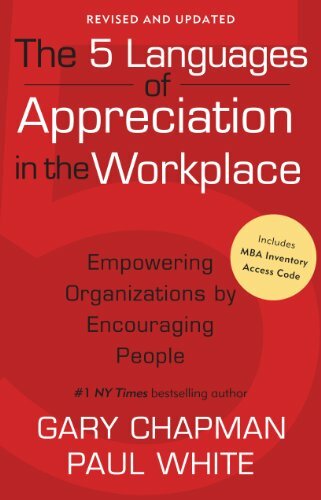 I discovered The 5 Languages of Appreciation in the Workplace book when I was writing How to Be an MVP in Life, and I thought I bet the 5 love languages have bearing on the workforce. “Wow,” I thought, “What an original idea!” Only to do a quick search and discover this book. For a detailed look at how to apply this same concept in the workplace, get this book! 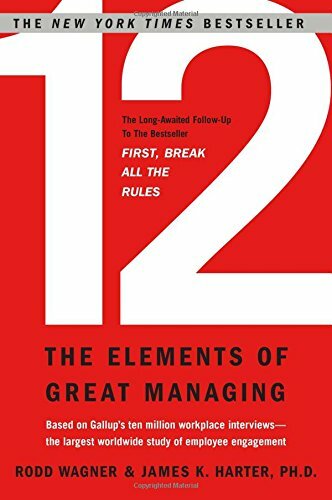 12 the Elements of Great Managing is one of my favorite management books. It uses compelling stories to emotionally reinforce what their extensive data was telling them. When I started to manage people I did my best to put these elements into practice. 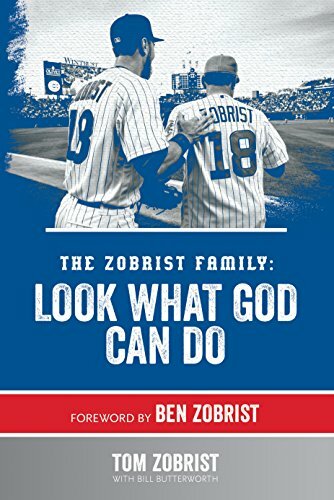 Ben Zobrist’s father, Tom, is a preacher, so yes this a religious book, and yes this looks like his first book, but it is well done and I love how he puts things in perspective, and doesn’t value his more famous child, Ben, World Series MVP, over his other MVP children (Most Valuable Persons). I found it to be a good read that gave me lots of additional insights into Ben’s background that we didn’t have time for in the interview.